The 2019 Brazilian national championships begin Tuesday morning at Maria Lenk Aquatic Park in Rio, and we’ve got all the links you need to follow along. Click here to read SwimSwam’s full meet preview. This meet serves as a qualifier for the 2019 FINA World Championships in July. Swimmers who hit a FINA ‘A’ cut in the A-final, and finish in the top 2 spots, automatically qualify. Brazil will take 24 swimmers in total, and there is no per-gender limit. 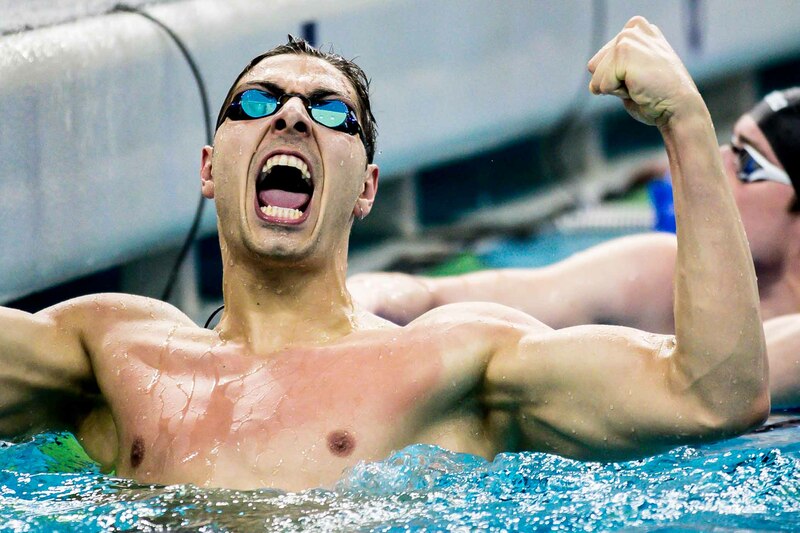 The top four swimmers in the 100 and 200 free will make the team as relay swimmers, provided that their combined time is faster than the seventh-ranked team was at the 2017 FINA World Championships. Click here to read more about the Worlds qualifying procedure. Prelims and finals will be live-streamed on TV CBDA. The stream is free, you just have to create a login, through Facebook or otherwise. Prelims begin at 9:30 a.m. local time (GMT-3), with finals starting at 6 p.m.
Good luck Vini, Maria, and Gabriel!